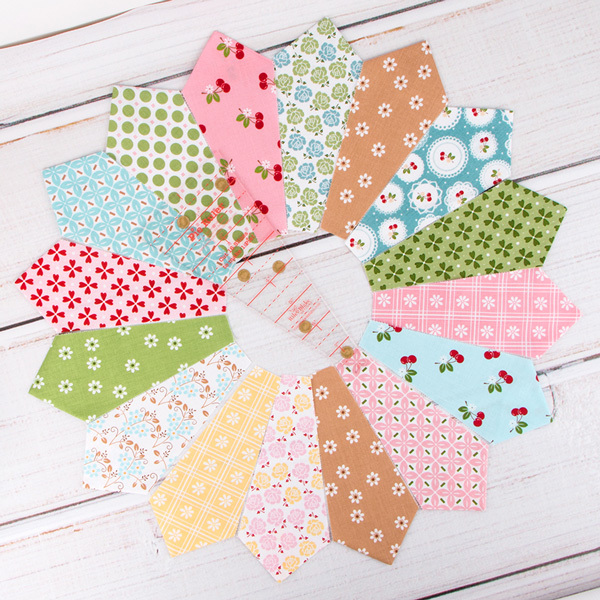 First, Lori Holt of Bee In My Bonnet stole our hearts with the Sew Cherry collection! 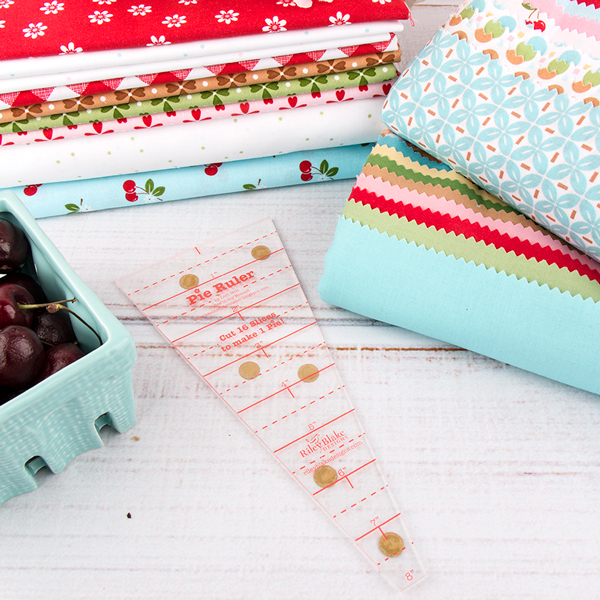 Now, we're lusting over the Sew Cherry 2 fabrics! We just can't get enough of those stunning hues and darling prints! 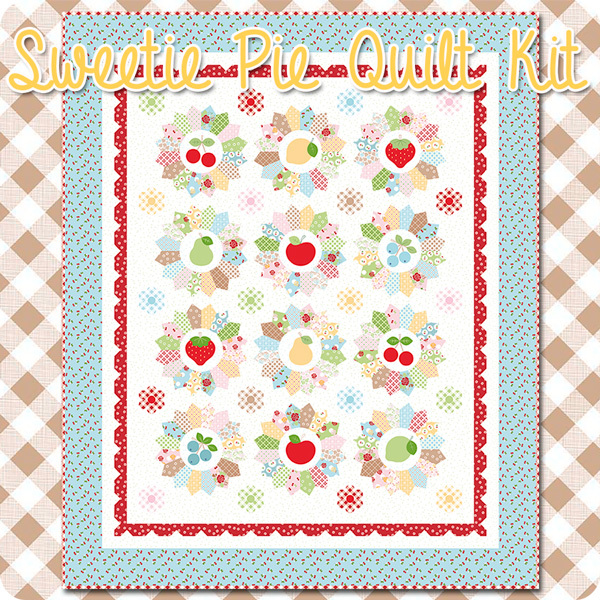 Since we love all-things Sew Cherry, we decided to join in on the quilty fun of Lori Holt's Quilt Along featuring the Sweetie Pie Quilt Kit! 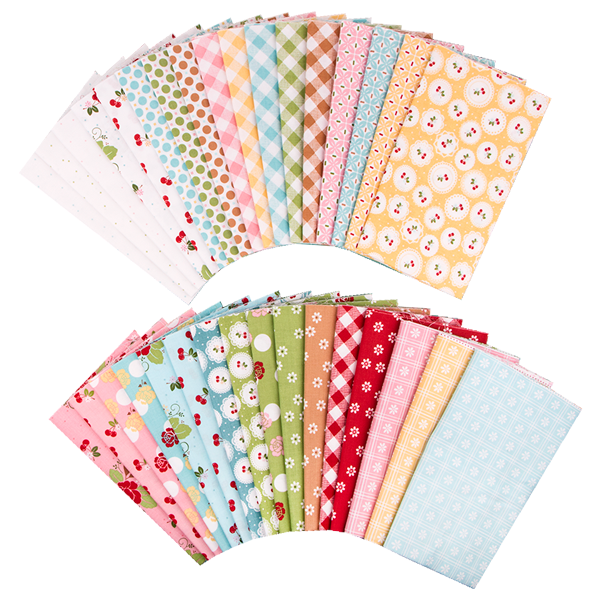 The kit includes the Sweetie Pie Quilt Pattern and 23.25 yards of Sew Cherry 2 fabric for the quilt top and binding. Each month, Lori will be sharing tips and tricks every Monday for 8 weeks, starting today, for all of us to follow along with the Sweetie Pie quilt! We used the awesome Pie Ruler to make the first block! If you're looking for some tips with this ruler, check out our demonstration video! We can't wait to see what Lori brings us for the next block! Share your block progress with us on social media and be sure to keep track of your project with your Scrappy Project Planner and accessories!